Swords Gate arrived just moments before Zhong Yue collapsed into the deep abyss of eternal death. Once Shui Zian found out Zhong Yue was battling the G.o.dly spirits in the Divine Battlefield, Jun Sixie ordered the whole of Swords Gate to cast the altar on the Golden Summit and lead the experts to support Zhong Yue. The battle of the Divine Battlefield was unjust in the first place, Zhong Yue only had Shi Buyi by his side while the West Barren had an obscene number of G.o.dly spirits involved in the battle. Surely, it was only time for the West Barren celestial race to exhaust Zhong Yue's and Shi Buyi's energy before killing them! "Junior Martial Brother Zhong, that idiot! Why didn't he say anything instead of bearing the entire burden on his own?" Jun Sixie was filled with killing intent as she exchanged a look with Fang Jiange before walking toward the Sui Tree with him. Jun Sixie gritted her teeth, she held the Great Boundless Divine Sword in her hands and said with clenched teeth, "Clans Master Xia, Madam Zhurong, don't you think the two of you been over reacting?" Clan Master Xia replied with a cold sneer, "He stole my Four Symbol Banner, destroyed my Fiery Capital, and is the root cause of my grand ancestor's death. Tell me then, who is the one over reacting here? Headmaster Jun, Zhong Yue must die here today, there is no other way, not on my watch!" Zhurong Yanqin smiled as well, "Headmaster Jun, don't be too furious yet. Zhong Yue entered the West Barren and antagonized the G.o.ds first himself. It's not that the West Barren G.o.ds are acting unreasonably, but your dear Junior Martial Brother Zhong capturing the West Barren Wei Xue G.o.d. His actions were taken as a sign of hostility to the West Barren, and thus, the West Barren G.o.ds are just acting in accordance to their ancient rules. 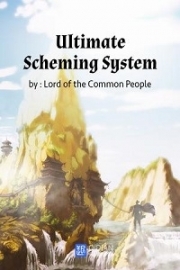 "If he can fight off the G.o.ds and leave the West Barren, the celestial race will not pursue further this matter further, and he can take the Wei Xue G.o.d away with him. This is one of the few rules the celestial races live by. This is also a show of respect to him. Back in the days, your human ancestor, Sword G.o.d, had done the same thing, fighting off the West Barren G.o.ds on his own and leading the humans out of the West Barren. Why else do you think the West Barren celestial race allowed you humans to live for so long? It's just history repeating itself." Jun Sixie's heart tensed up as she listened. The establishment of the Great Wilderness and Swords Gate was solely because of the first headmaster, he was the one that led the humans out from the West Barren and formed the Great Wilderness. But surprisingly, to the human race, even after his death, the West Barren celestial race didn't wage war against them. Jun Sixie couldn't figure out why until now. It was because of the ancient rules of the West Barren celestial race—the winner walked away freely, and the loser died! "Wei Xue G.o.d is a G.o.d, how can Junior Martial Brother Zhong even capture him?" Jun Sixie laughed in anger, "This is an evil ploy by the West Barren celestial race, an excuse to kill him!" 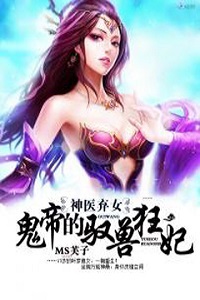 But Zhurong Yanqin shook her head, her face turned solemn as she said, "Headmaster Jun, it is true Zhong Yue had captured the Gui Shen Celestial Race's Wei Xue G.o.d on his own. Even Senior Zhu Jiumu came to stop him, but he declined the celestial race's good will. 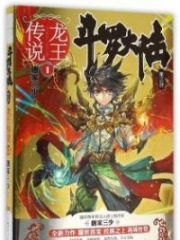 Furthermore, before the battles began, the West Barren celestial race did again try to convince him to free Wei Xue G.o.d, and he will be let free after, good will that he also refused to accept. "The West Barren is after all the ancient imperial court of the celestial race, and the celestial races their own pride and dignity, he can refuse their good will once, but never the second time. Now, the only way left for him is to fight out of the West Barren, just like your Swords Gate's venerable first headmaster — the Sword G.o.d. The rules are to be followed, and if Headmaster Jun decides to interfere now, all of the West Barren celestial races, even the neutral ones, will rise against the human race. Now, I do sincerely advise you to reconsider your actions." But Fang Jiange strode forward firmly, a flash of sword ray shrouded his body as he moved. He had succeeded in cultivating the state of extremity in the Imminent Deity level, his sword ray was now forged into a malefic weapon. The sword ray suddenly lunged toward Clan Master and he heard, "Words never work, a second longer means a greater risk for Junior Martial Brother Zhong's survival!" 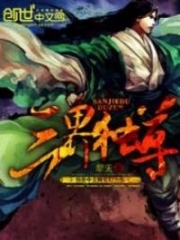 Jun Sixie cleared her mind of hesitation and yelled out while casting out the Great Boundless Divine Sword toward Zhurong Yanqin, "It's natural for the West Barren celestial race to stop Junior Martial Brother Zhong, after all, they are the ones he provoked. But you Zhong Li Celestial Race are from the South Barren, why are you two here interfering in this affair? I will kill the two of you if anything happens to Junior Martial Brother Zhong!" Although the Great Boundless Divine Sword was not her lifebound soul weapon, it was still stronger than Fang Jiange's malefic weapon. Despite her lacking cultivation compared to Fang Jiange, Jun Sixie was no weaker with the help of the divine sword! Clan Master Xia gave a cold snort, he took a step forward and dashed out like an arrow toward Fang Jiange. As the clan master of the Zhong Li Celestial Race, he was also a demiG.o.d just like Shi Buyi, except that he hadn't cultivated the state of extremity in the Imminent Deity level. Whereas Zhurong Yanqin was a fine line weaker than him. 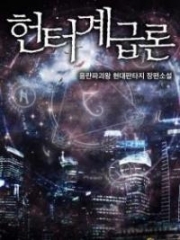 The four clashed in pairs, Zhurong Yanqin shook her head, she sighed and said, "Headmaster Jun, you are breaking the rules of the West Barren, you are forcing the celestial race to war against the humans. As the human Swords Gate headmaster, shouldn't you reconsider… Hmm?" "Shui Zian!" The old man was none other than Shui Zian. "Mister Kun Da!" Zhurong Yanqin's face turned pallid, and she shouted, "Stop him! Shui Zian mustn't be allowed to intervene the battle! Do it, it's not against the West Barren rules for you to stop him!" The power of worship was the fuel for the battle of the G.o.dly spirits, once the worship stopped, the G.o.dly spirits would fall into deep slumber again. At the same time, the power the G.o.dly spirits could unleash was dictated by the number and prowess of the worshippers as well as the quality of the offerings. 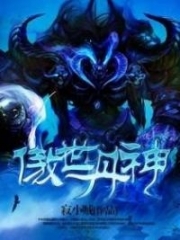 Among the thousands of West Barren celestial races, some of them had only a little few clansmen, and so the powers of the respective G.o.dly spirits were weak and limited, which was one of the reasons why Zhong Yue could last so long. Whereas the Kun Peng Celestial Race came prepared, many experts came and worshipped Lord Kun and the Divine Wing saber as Lord Kun foresaw the dragon race and Lord Dragon coming to s.n.a.t.c.h away the saint saber. Now, with Mister Kun Da leaving from the worships, it affected Lord Kun's prowess, but it was minimal in totality. It wasn't significant enough to cause Lord Kun's defeat. Zhurong Yanqin's heart skipped a beat, she immediately commanded the Xia Clan's and Zhu Rong Clan's four magnates to stop him down. The Xia Clan and Zhu Rong Clan brought many experts along as well, even with the absence of the four magnates and the two clan masters, the Eight Dragons Heaven Suppression Cauldron was powerful enough. It still at least eighty-percent of its usual power. That sword… Zhurong Yanqin's eyes throbbed as she stared at the divine sword behind the young child. At that instant, she finally knew what was up in Swords Gate's sleeves; Jun Sixie, Fang Jiange, Shui Zian, and Gu Hongzi were all just decoys to attract their attention, the real saviour to Zhong Yue's life was that young child, or to be precise, the divine sword hovering behind him! "Mister Peng Da!" Zhurong Yanqin shouted again, "Quickly stop the young child!" He didn't dare to engage directly with the Xuan Yuan Sword, furthermore, his goal was to stall them from getting close to the Sui Tree. Thus, he gushed out an ocean to block their paths. Shao Dian stopped and frowned, he placed Xuan Yuan down on the ground and covered the bear hide on his young son's shoulder. He patted the Xuan Yuan's shoulder and said, "I'll open a path for you, you will to run on your own!" Xuan Yuan nodded, and Shao Dian walked forward while striking his punches against Mister Peng Da's arcane energy, breaking a path out in the middle of the ocean. "What are you waiting for? Go!" There, a towering tree burning in fire was his destination. But when he was only a small distance from reaching it, a man dressed in a yellow scholar's robe abruptly appeared in front of him, with his upper body covered by a white umbrella. "This sword, so this is the divine sword inside of the Swords Gate Mountain?" The white umbrella slowly lifted, revealing a strange-looking man underneath. He had two evil looking Pan Ao heads on his chest, and a neck with no head. Xuan Yuan was terrified, he murmured to himself, "What race is this?" "Little boy, there is no need to be afraid. I am your Uncle Wuji." The two Pan Ao heads laughed and said, "But I can't let you pa.s.s, you may stop here now… Stun!" The 【Skills of Diction】burst out in power and stunned Xuan Yuan on the spot. Feng Wuji's faces changed drastically as the divine sword locked onto him. Seeing that the divine sword was about to land on him, he suddenly shouted, "Sleep!" The young Xuan Yuan was sent into a dizzy spell, and collapsed to the ground. Immediately, the divine sword stopped inches away from Feng Wuji, and it reappeared back around the sleeping boy, safeguarding its master's safety. Feng Wuji shifted his gaze between the divine sword and the young boy, he then turned and left while murmuring, "What a fortunate child, if it wasn't for this sword, he would be long dead already… Zhong Yue, let's see how longer you can last!" He raised his head and looked at the Sui Tree for a final time before disappearing. His voice could still be faintly heard in the wind, "If you are waiting for your incarnations, then I'm sorry to say that my incarnations have stopped them from coming. The time you die is when I will reclaim my lost head!" Long Yue cast out three divine sabers and fought in a b.l.o.o.d.y battle with Qiu Qingshan while Feng Wuji's demon incarnation clashed with Bo Xun in another battlefield a distance away. Zhong Yue's two incarnations were intercepted and prevented from returning to him! "Canghai, are you really doing it?" 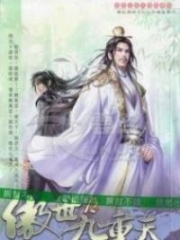 At the other end far away from the battles, Bai Zhenbei looked at Bai Canghai in seriousness as he whispered softly, "The divine battle is an ancient rule, the Bai Zhe Clan will be hated forever by the West Barren celestial race if we interfere with the development of battles. You must know that the Bai Zhe Clan can only live so long because we never interfere with any worldly affairs!" Bai Canghai laughed back as he replied, "Teacher, I won't interfere with the battle. I'm merely just… returning Senior Martial Brother Zhong his cultivation base, even the West Barren celestial race cannot hold me responsible of the battle for returning what's belonging to the others. Go!" "Somehow, somewhat, I have a feeling you have triggered something…" Bai Zhenbei mumbled worryingly. Bai Canghai grinned broadly and talked back, "Do you really think I am the Comet Innate Spirit Body? Not to mention that such a kind of innate spirit body might not even exi-... What?" "Canghai, you dare to say there isn't any Comet Innate Spirit Body? Look at that, look at what you've done…" Cold sweat burst out of Bai Zhenbei's forehead and soaked his clothes as he mumbled in terror. Meanwhile, Bai Canghai glared his eyes round and big at the sudden development of situation. He mumbled, "Teacher, I think we should leave now, if anyone finds out I am the one that gave out the Pure Yang Qi, the Bai Zhe Clan might really be torn into pieces…"
"Leave, leave!" The two teacher and disciple rapidly cleared their tracks and left like a flash of lightning. You're Read Rise Of Humanity Volume 2 Chapter 592 online at NovelOnlineFull.com. You can use the follow function to bookmark your favorite novel ( Only for registered users ). If you find any errors ( can't read,broken links, can't load photos, etc.. ), Please let us know so we can fix it as soon as possible. And when you start a conversation or debate about a certain topic with other people, please do not offend them just because you don't like their opinions. You're reading Rise Of Humanity. This manga has been translated by Updating. Author(s): 宅猪 (Zai Zhu). Already has 307 views. Current Time is 23-Apr-2019 05:58:01 AM.